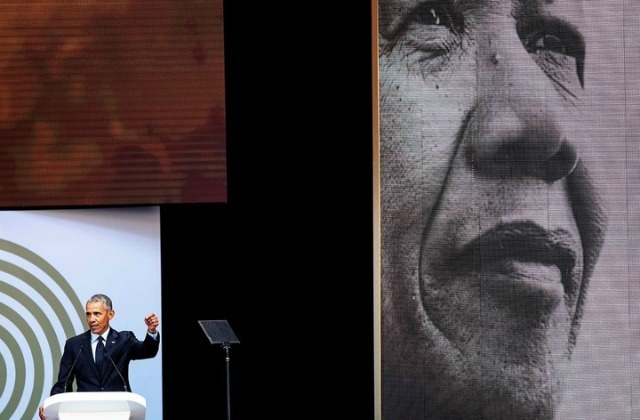 President Barack Obama delivered a speech in honor of Nelson Mandela's 100th birthday in South Africa on Tuesday. Former US president Barack Obama said on Wednesday African governments should first unify their citizenry before considering an amalgamation of states akin to the US model. It was the second major speech from Obama in South Africa in two days after a previous stop-off in Kenya. In that lecture, the former president further touched upon the "head-spinning and disturbing headlines" in the world today, and made several other jokes at the expense of powerful men. "We see the utter loss of shame in political leaders when they're caught in a lie and they just double down and lie some more", Obama said. Talking about trade, Obama first expressed his belief in the right for smaller economic powers to access wealthier markets. "I would have thought we would have figured that out by now", he said. He warned that countries that engage in xenophobia "eventually. find themselves consumed by civil war". "It is time for us to stop paying all of our attention to the world's capitals. and focus on the world's grassroots. We've been through lower valleys", but he closed by offering a glimmer of hope when he shared "I say if people can learn to hate, they can be taught to love". Rarely has one person in history done so much to stir people's dreams and move them to action. He received a standing ovation and thunderous applause from thousands of guests. Ramaphosa also said there was no place for racism, tribalism and chauvinism in the South Africa of Nelson Mandela. In another barely veiled attack on Mr. Trump's tactics, Mr. Obama mocked politicians who routinely lie and who never back down when their lies are exposed. 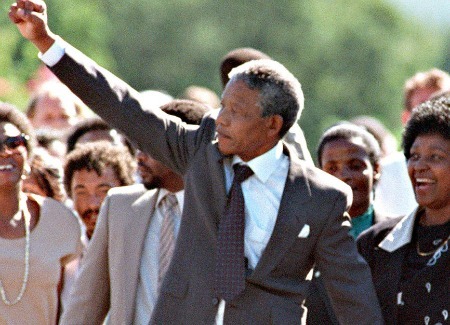 Nelson Mandela, who died at the age of 95 in 2013, is a legendary icon for headlining the anti-apartheid battle in South Africa. Obama attended a charity event in Edinburgh Tuesday evening for her first official global appearance since leaving the White House. The US under Trump has withdrawn from the 2015 Paris climate agreement and the Iran nuclear deal, and tried to undercut the Affordable Care Act, known as Obamacare. Many found this speech to be a passionate condemnation of identity politics. But during Obama's lecture, he seemed to make a thinly veiled criticism at the current USA administration's use of "alternative facts". Ramaphosa was there to lead centenary celebrations of Mandela who was the country's first black President. "And I believe that a world governed by such principles is possible and that it can achieve more peace and more cooperation in pursuits of a common good". Stremlau, who attended the speech, called it "a tough, strong condemnation of Trump and all that he stands for".